We help connect people selling used cars and trucks with savvy buyers who prefer to avoid aggressive sales tactics at local dealerships and prefer to buy their next used car or truck from a private seller. 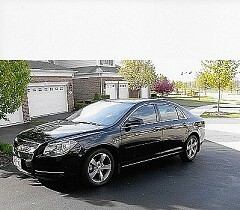 We can help you sell your car in Illinois fast. Our simplified ad creation process only takes a few minutes for you to create your online classified, print out your for saly by owner flyer and get on the path to selling your vehicle for a fair price to a private buyer in your local area. Place your free ad today and start enjoying the stress free process of selling your vehicle by owner. If this is your first time selling a car yourself, please have a look at our how to sell a used car by owner guide.